Need to replace an amplifier, find cables, rent a PA system or simply buy guitar strings ? MusicBiz Uses integrated GPS localization or IP localization that helps you find dealers near you when you need it the most ! 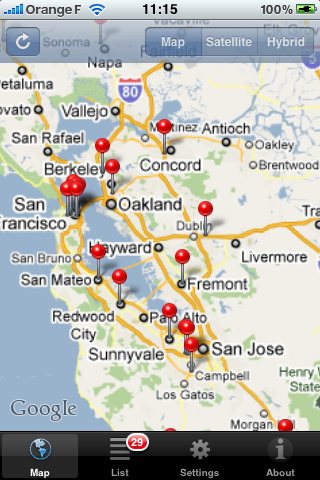 MusicBiz provides complete store information and will take you there within minutes via precise GoogleMaps itinerary. 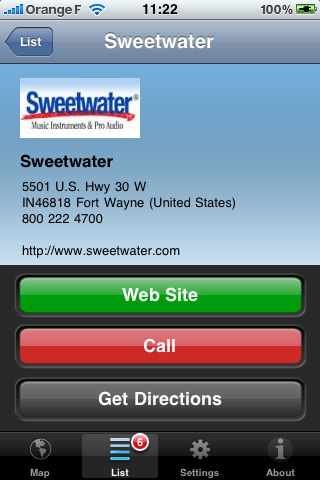 Locates all music dealers near your current location. Up to date Dealers database of more than 4000 shops around the world. View as Map or List. Map shows as Plan, Satelitte or Hybrid. 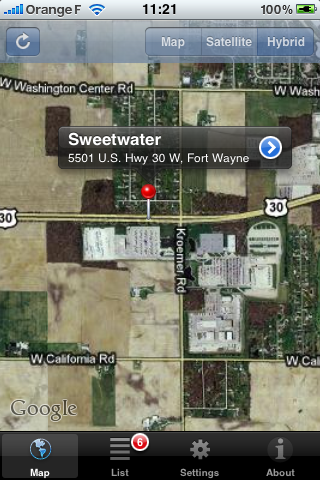 Detailed view shows shop's logo, address, phone number, and website. Localized in French and English. 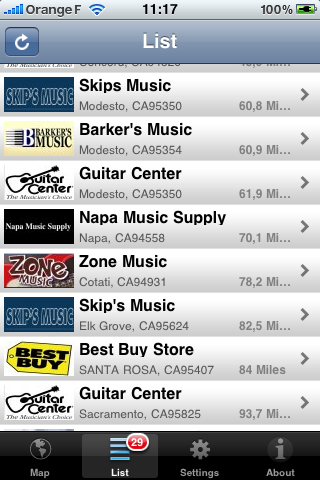 Find music shops around your current position. Pressing a marker popups the shop's name and address. A typical music shop record. 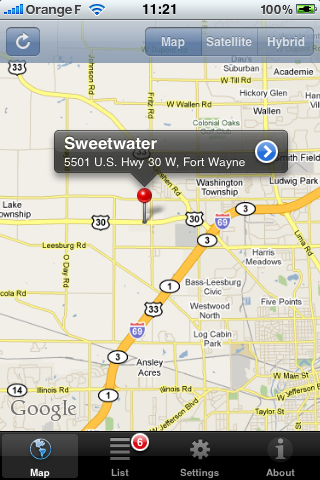 You can visit the website, call them, or draw the direction on GoogleMaps. The List shows all shops around your current position. These are sorted by distance. Pressing a shop's name shows detailed information. 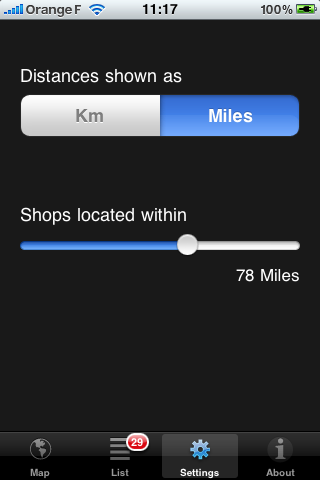 This screen allows you to set units as Km or Miles and set the search distance radius.